Historian Michael Wood‘s documentary, The Great British Story – A People’s History, is currently being screened in the UK. Michael is from Manchester and was visiting Liverpool last weekend where he made time for this recording. 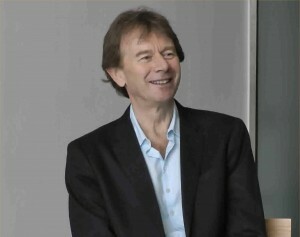 In this short interview, Michael Wood talks about the Great British Story, the role of the working classes in the northwest of England and the value of their contribution to modern society. Although he never met or saw Yuri Gagarin, he recounts his his personal memories of the the day the Soviet cosmonaut Yuri Gagarin came to town.